Drilling, according to principles of attack/defend/attack. This is practically a practice. You are the attacker. You execute a certain attack. 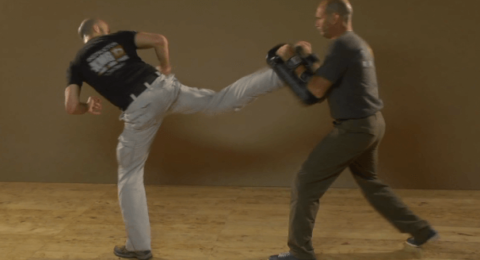 It can be a kick, it can be a punch, any type of strike. Your partner, who simulates an enemy, is doing any type of response, usually some defense and counterattacks. Your job is to respond. 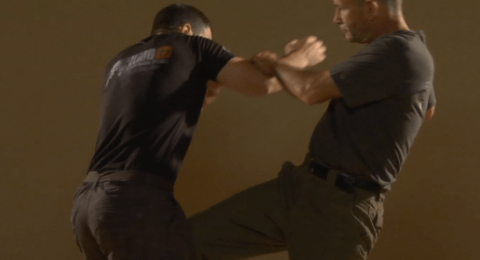 While sending your first attack, you should be aware, awake, responding, responsive, and deal correctly with your opponent’s actions. We are reaching, here, different types of situations, angles, ranges, and so on. 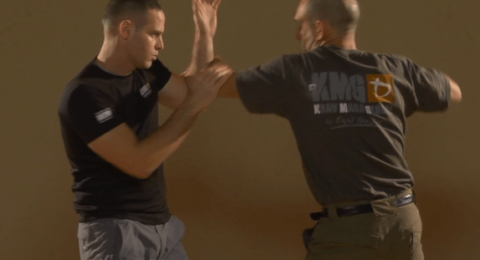 The first phase is that your partner, who simulates an enemy, knows in advance what you are going to deliver. Thus, the partner is responding with a different solution. Your job is to detect as early as possible your partner’s responses and reactions, and foil them, deal with them, fail him. 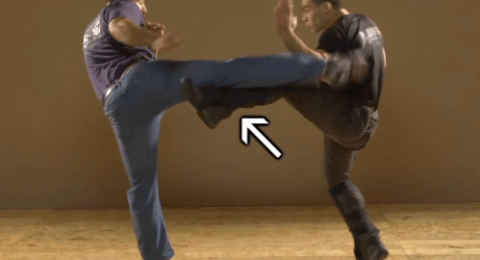 We see, here, examples of an attacker who attacks with a regular kick. The partner is responding every time with different solutions. 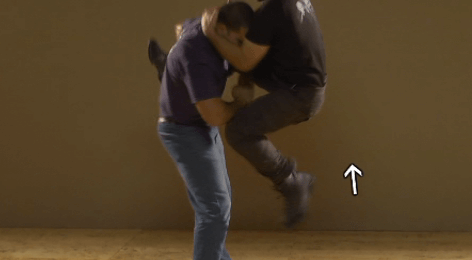 Then, against a roundhouse kick, partner respond with different techniques, and a sidekick also. You start with a sidekick. The partner, the enemy, is responding. Every time, you should detect, like a radar, his responses, and react to them as soon as possible. React with defenses with attacks and counterattacks, with moving to the right directions and angle, in changing ranges, all in order to foil the opponent.